In recent years the global food and beverage industry has surpassed development agencies and donor governments when it comes to improving the productivity and income of smallholder farmers in developing countries. Food and beverage companies did not set out to champion smallholder farmers: for the most part they simply wanted to secure an ongoing supply of agricultural commodities and respond to changing consumer preferences. 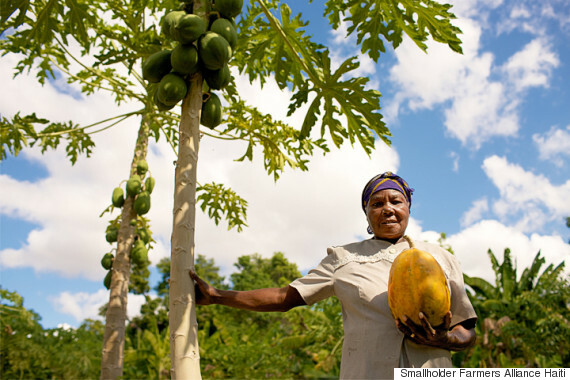 Companies of all shapes and sizes -- from global giants like Nestlé, Unilever and Heineken to modest artisanal producers -- started purchasing increasingly large amounts of agricultural output from smallholder farmers in middle income and developing nations. 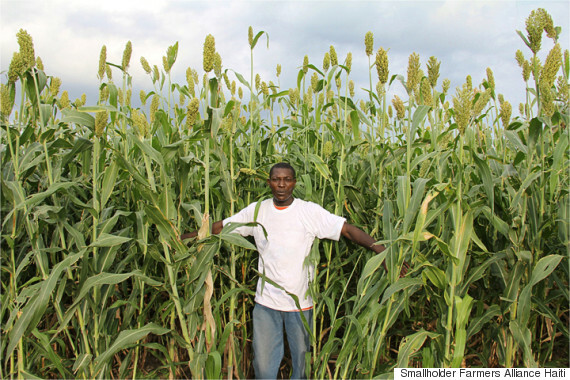 Economists, bankers and development experts have long seen smallholder farmers as outright obstacles to economic improvement and have ensured their marginalization for the past 60 years. The food and beverage industry's pragmatic and market-based approach has ignored this public policy bias. Instead, they have identified smallholder farmers as a vast network of under-utilized and under-capitalized growers who require only modest inputs in order to double or triple their output and begin selling for export as well as expanding domestic markets. A direct consequence of this relatively new approach is that food and beverage companies have become the de facto global leaders in rural development as sourcing from smallholders shows signs of catalyzing economic growth and alleviating poverty. And the stakes could not be higher. One third of the global population -- 2.5 billion people -- are smallholder farmers who live on and manage 500 million small-scale family farms. They currently produce 80 percent of the food consumed in the developing world, but they need to become significantly more productive if we are going to feed two billion more people worldwide by 2050. The challenge we are now facing is that the smallholder revolution that was started inadvertently by the food and beverage industry is in eminent danger of falling short of its potential, and in some cases is doing more harm than good by creating dependencies rather than building capacity. These companies can't interface efficiently with vast numbers of smallholder farmers and the result is the emergence of a new category of intermediary operators connecting food and beverage companies with smallholders -- possibly best described as "smallholder service agents." And this is the crux of the problem. These agents are sometimes referred to as aggregators, middlemen brokers, supply chain catalysts or service bundlers. 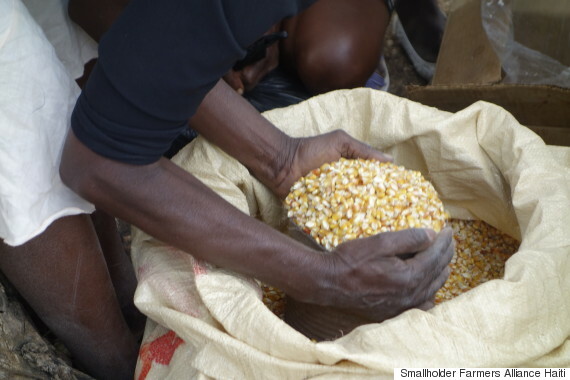 Regardless of their designation -- or whether they are for-profits, NGOs or social businesses -- all variations of smallholder service agents have a dual function to help farmers increase and improve their crops and at the same time purchase the resulting harvest, either directly or through a partner company. Through their respective agents, food and beverage companies provide smallholders access to improved seed, fertilizer and tools; they train farmers to improve agricultural techniques affecting quality, quantity, storage and transportation; they provide access to new markets for farm output; and, they provide financing in the form of credit, loans or purchase guarantees. This is all generally good stuff, but the problem is that the supply chain generally stops with the smallholder service agents and the farmers themselves tend to be viewed as anonymous and interchangeable production units that are easily attached and detached from the end of that chain. And when the supply chain moves on, the farmers are left with no lasting capacity and a devastating loss of income because they have become completely dependent on the service agents. Although there is no grand design behind this flawed system, it has grown so large -- and involves so many million smallholder farmers around the world -- that it has placed food and beverage companies in a global leadership role at the intersection of food security, climate change and rural development. Despite not having asked for this role, the companies have collectively realized over the past few years the extraordinary position they find themselves in. The great dilemma these companies now face is that they need partners as they struggle to balance their responsibility to shareholders with the larger moral imperatives implicit with their new role. The difficulty is that many of the potential partners in this space -- development agencies, donor governments and NGOs -- are locked into a handout dependency model that is at odds with a market-based solution. The result is that virtually every major food and beverage company in the world has seized on meetings such as the Clinton Global Initiative and the World Economic Forum in order to talk through this dilemma with their peers. Smallholder farming has been front and center at both venues in the past year, and much of the discussion can be distilled into one question: "How can agricultural export markets be used to permanently transform smallholder farmers and their communities so they can be self-financing and self-managed net contributors to improving global food security, reversing climate change and transforming rural communities?" Part two of this blog will set out a challenge to the global food and beverage companies regarding the answer to this question.